Are you experiencing problems in losing weight and fatigue? If so, I have some surprising info for you. Really…some of this information may even shock you! If you’re like most people, you try to lose weight by going on a diet. And the most common type of diet is a low calorie diet. Dieting becomes a problem, especially you repeat the diet, or the diet focus is restricting calories. Eventually you go OFF the diet due to frustration. The result is a few pounds lost, frustration, and a lower metabolism, called hypometabolism. Don’t panic! You’re not alone. Thousands of people suffer from some form of hypothyroidism and there are some simple answers for you. There is no need to run off to your doctor just yet. My hypothyroid diet optimizes you metabolism. It enables the body to buurn more calories because the body runs more efficiently. The result is increased energy, clearer thinking, fewer aches & pains, better digestion and long-term weight loss. 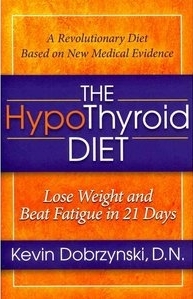 Take a look at the details on this page and see if my hypothyroid diet feels right for you. I hope to see you again soon. Is your program just for those with hypothyroidism? No. Anyone can benefit from this program, especially those who are overweight and tired. Do I have to stop taking my medication while I follow your program? No. You should not stop taking your medication unless your doctor recommends it. Can I naturally heal my hypothyroidism with your plan? My plan will help you reduce/eliminate your thyroid symptoms which is a sign of healing. Results vary from person to person. However, most people feel the benefits in the first two weeks. “When I started the program, I thought to myself, “Oh, no. Not another program that gives many promises without any true results.” How wrong I was. I did not lose the weight I had wanted but I did lose inches. You gave so much information (and I am thankful for that) that it took me longer than one month to go through the program. I learned that I was doing exercises incorrectly and am anxious to set up a weekly schedule. Perhaps weight will come off then.I was surprised to find out that I could eat foods that other diets said I couldn’t and that many of the foods they insisted upon were not right for me. “I too have had huge success on this program. I have lost about 10 pounds with about 5 more to go. Most importantly though is that I feel so much better! No more crazy sugar imbalances and no more stomach aches. I know now what makes me feel bad and I have way more energy. I do wish we had more access to drs. that could help us get all of these levels checked. I have pretty much not been able to find any drs. willing to work with me. Dr. Dobrzynski’s goal is to help you lose weight, beat fatigue and feel normal again – just like you did before you had hypothyroidism, or even better. He firmly believes that it’s possible for you to have hypothyroidism, yet look great, feel great, and have no symptoms. Through research and experience he has discovered that thyroid medication doesn’t fix hypothyroidism, but the right diet and supplements can reduce and/or eliminate your symptoms. Dr. Kevin Dobrzynski DN attended The University of Rhode Island for his undergraduate studies where he also competed in collegiate football and specialized in sports medicine.He continued his education at The Chicago National College of Naprapathy where he graduated with honors. He is currently licensed in Illinois as a Doctor of Naprapathy. Kevin is also a certified personal trainer through the National Academy of Sports Medicine and he is a Metabolic Typing Advisor through healthexcel. Dr. Dobrzynski uses exercise prescription along with nutritional counseling and supplementation to create the backbone of his practice. He believes that exercise and the correct nutrition play an essential role to prevent and rehabilitate the body of DIS-EASE.